The new CRC will use satellites to improve advanced communications and earth observations from space. File photo. UNSW Canberra is to have a major role in one of Australia’s most significant space industry research initiatives, heading up one of three key areas in a new ‘SmartSat’ Cooperative Research Centre. 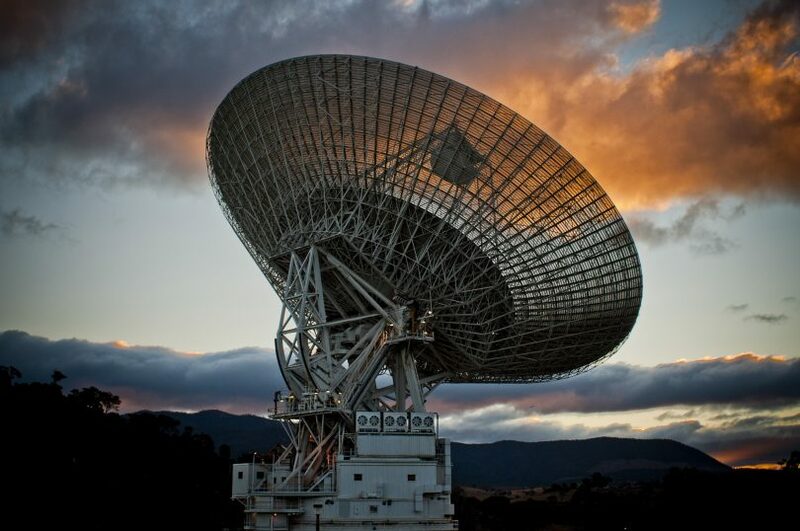 The Federal Government has announced funding of $55 million for the new CRC which will be headquartered in South Australia and use satellites to improve advanced communications and earth observations from space. The funding will be matched by $190 million in cash and in-kind contributions from 84 research and industry partners. Director of UNSW Canberra Space, Professor Russell Boyce, will lead the CRC Intelligent Space Systems program, which is one of three key areas identified by industry through a rigorous consultation process. The other two are enabling advanced communications and developing next-generation earth observation data services. Professor Boyce said that SmartSat will allow Australia to grow the space research and innovation that already exists in our country. “Having the SmartSat will ensure that Australia continues to not only be a part of the space race internationally, but be leaders in cutting edge research technology,” Professor Boyce said. In announcing funding for the CRC, Minister for Industry, Science and Technology Karen Andrews said the centre would support the next wave of growth in Australia’s critical industries like agriculture, transport, logistics, communications and mining, generating new high-tech jobs and strengthening national defence and security. “SmartSat CRC will foster the creation of next-generation space technologies and professionals, and make Australia more competitive in the US$350 billion global space economy,” said Ms Andrews. The CRC’s key education and training goals are to assist in graduating 73 PhD students, and build the pipeline of school, undergraduate and vocational education students. The CRC will also seek to advance gender and diversity equity in STEM-related industries by inspiring women and Indigenous Australians to pursue careers in space. The bid for the CRC was developed by UniSA in partnership with Nova Systems. Bid Leader and SmartSat CEO designate, UniSA’s Professor Andy Koronios, says the CRC will be a game changer for Australia’s space economy. “Globally, space technologies and industries are worth more than $500 billion but that success has been underpinned by serious global investment in research,” Professor Koronios said. While being headquartered in South Australia, the new CRC will also establish state nodes to enable the whole nation to be involved in the development of smart satellite technologies.